PHONON LIQUID 3n – PHONON Inc. a brand that pursues total sound quality. A revolutionary new contact leaner liquid using 3nm nanodiamonds. This wonderful liquid, completely different from previous contact cleaner, is an electrical junction restructuring fluid based on the most advanced nanotechnology. 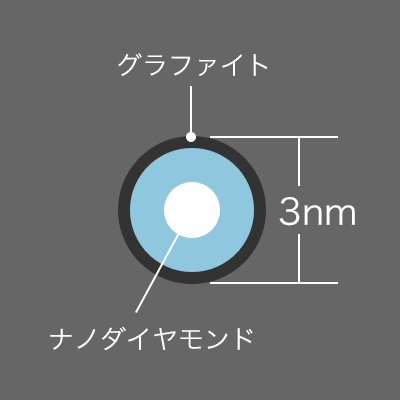 Compared to our previous phonon LIQUID, the particles size are even smaller. and its concentration is 7 times more! Deterioration of the sound quality due to oxidation won’t occur as LIQUID is oil-free, and furthermore, unlike grinding-based enhancers, you do not need to worry about shaving the contact surface of your gears. You will most certainly be amazed at the sound quality amelioration and appreciate how the liquid transformed several single point-contacts to a whole surface one. Try to apply LIQUID to your audio system electric contacts and you will realize how they were actually under-performing. The microscopic particles contained in the PHONON LIQUID 3n are unique and extremely small dispersing elements. The initial particles are pseudo-spheric and covered on the surface with conductive bodies, which significantly lowers impedance at higher frequencies. They show a surface adsorption activity which provides an anti-static effect. In addition, they manage to keep their performance stable as they do not settle out in the liquid. Thanks to all of these characteristics, a great improvement will be achieved with the audio and video quality of your equipments when the liquid is applied to their electrical contacts. Electrical conductivity is proportionate to the product of the electronic density and electronic mobility. The electronic density will be decided by the quality and property (resulting from the material and how it is processed) of the metal. 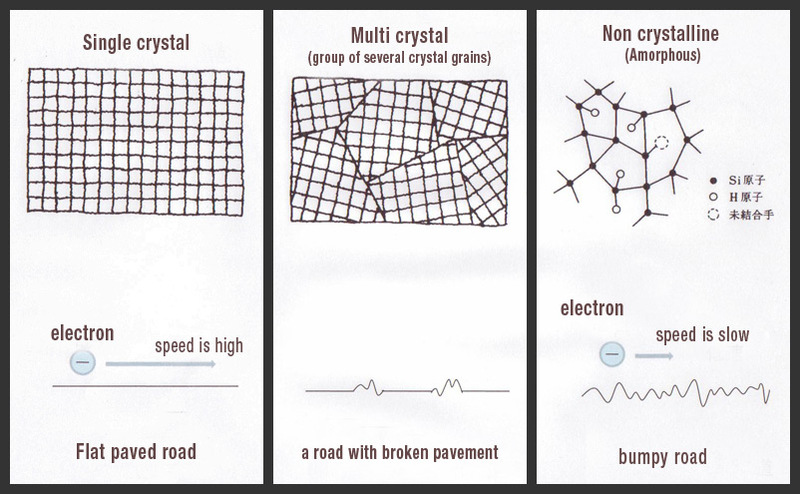 Single crystalline materials, because of the uniformity of their crystal faces, are like a paved road on which mobility is smooth and electron speed high. On the other hand, multi-crystalline materials present many gaps at the boarders between each group of crystal grains they are made of, making it difficult for the electrons to move smoothly, just as if they were slowed down on a uneven road. Electrons are even slower on amorphous materials which have no even bonds, as they are moving on the equivalent of a dirt road. As smooth and clean the surface of an electric contact can seem, it is in fact very rough and looking like a “dirt road” at the nano level. When those get in contact, only single points touch each other, thus preventing a normal transfer of electrons. By filling that “dirt road” with unique 3nm (1/10,000 the width of a hair) particles of nanodiamonds and homogenizing the surface (Diagram:2), you will transform such “bumpy road” into a beautifully paved one which will allow a faster electron mobility (Diagram:3). Proportionately to the product of such mobility, the electrons will accelerate to a much higher speed and thus improve electronic conductivity (conductivity rate changes given the contact materials) . Electric contacts deliver extremely complex and delicate signals, as well as big power currents: you will also be able to reduce electric power loss as contact resistance and ensuing self heat generating lowers. The diamonds inside those nano-particules are semi-conductors, and such particules have an electronic mobility of approx. 1,800 for electrons and 1,600 in the hole. Given the mobility for materials based on the most advanced ultrafast semi-conductors technology GaSa is at approx. 8,000 for electrons and 4,000 in the hole, it makes our nano-diamonds the next fastest materials available. All metals show an increase in electrical resistance when the temperature of the contacts rise, but semi-conductors present a reverse trend. When the semi-conductors particules flow in between the contact’s gap, not only it decreases the electrical resistance but thanks to its excellent heat transfer properties, the internal heat is released, leading to a better flow of the high-frequency current. * PHONON LIQUID is a world unique material manufactured under US patent. Due to colloidal dispersion, it has the particularity of not settling out neither aggregating, making it a very stable material. Apply as little liquid as possible on the contact, wipe off well with a cloth and connect once dry. After application, make sure to get rid of any dirt from the brush before placing it back in the bottle. Please use after cleaning and wiping out dust and other solvent from your contact . By neglecting that step, the particles might adhere to the dirt and settle out. Do not connect your contacts while the applied liquid hasn’t dried out yet. Do not apply the liquid on electrical contact when the instruments are on.